I am enjoying a vanilla Dr. Pepper, tapping my foot along to Jack Johnson, and at the moment, I couldn’t be much better. The weekend is over, and I am back to the office, today hasn’t been all that eventful. Currently, I am working on a postcard to send out to my etiquette workshop. 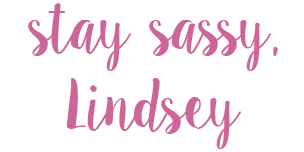 I am making it cute, who doesn’t love a fun font…maybe I am the only one? Yesterday was father’s day, we went and had lunch out in Bartlesville, did some shopping, and then headed home. We were in the kitchen for three hours trying to get everything prepared. We had fried chicken, fried squash, mashed potatoes, hot wings and apple pie. I was almost in a food coma by the end of the dinner, but it was well worth it. Debbie <3’s Dad, nothing says happy father’s day like an apple pie! “You do? I thought you were trying to spell DAD! haha!” after twenty-one years I never knew that, well then again I am sure it is because, at my house, baked goods do not have a long life expectancy. So maybe that’s it, I guess I never paid that much attention. But that is what it is all about, being in the kitchen with my mom and grandma is always a good laugh and those are memories that will last me a lifetime. I hope I can share that someday.